The wife recently went on a trip with her father to attend a family affair in Naga City in Camarines Sur. 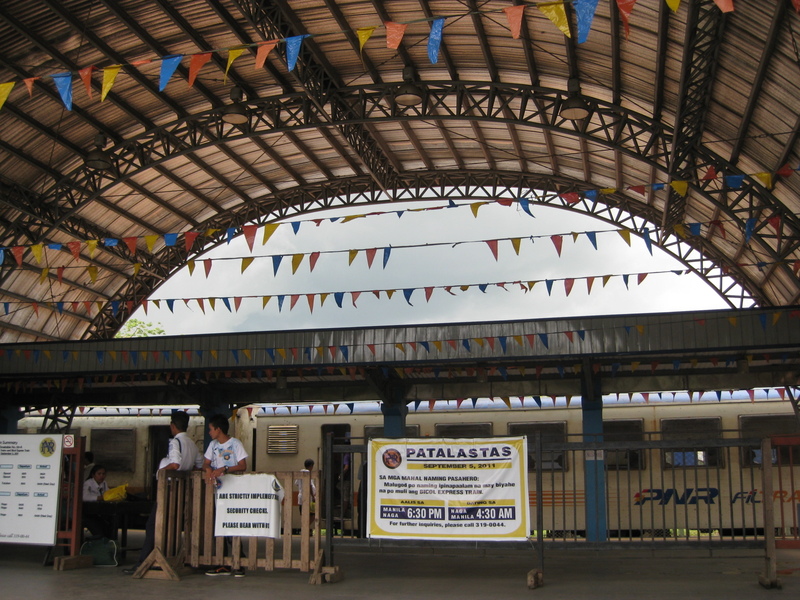 Arriving by plane in the morning, they went to the PNR station in the afternoon to purchase a ticket for my father-in-law who wanted to try the train for the trip back to Manila. 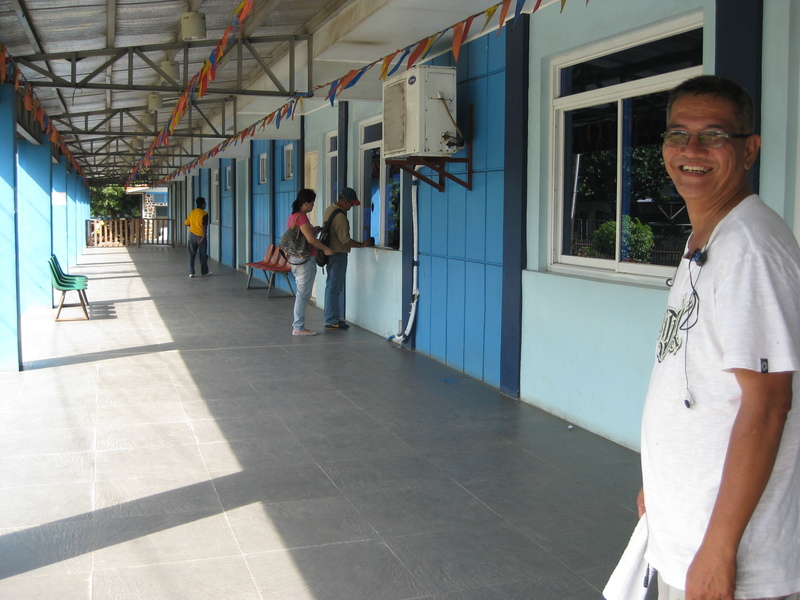 He got word of the resumption of Bicol Express services from me as well as from the news. 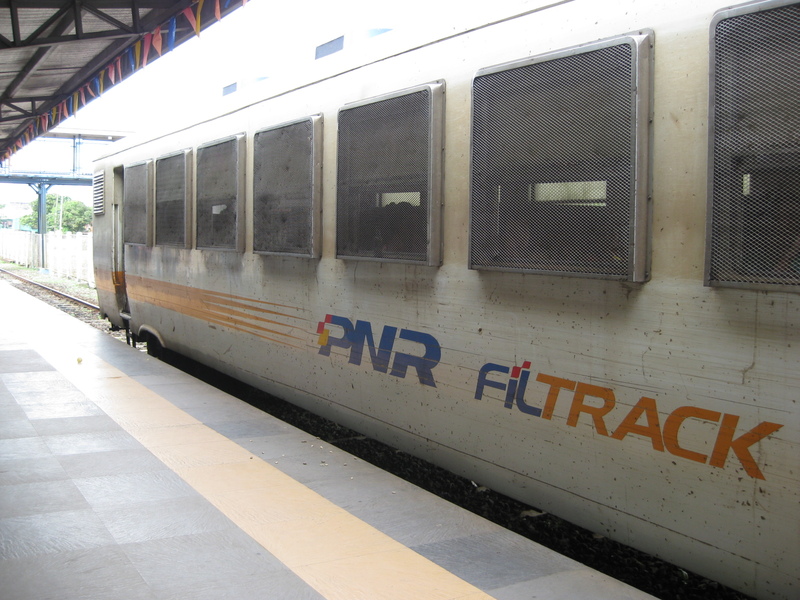 The PNR had been featured on TV and he had been curious about taking the train. He used to take the train for trips between Naga and Manila before and told us stories of how nice traveling by train was back in the day. 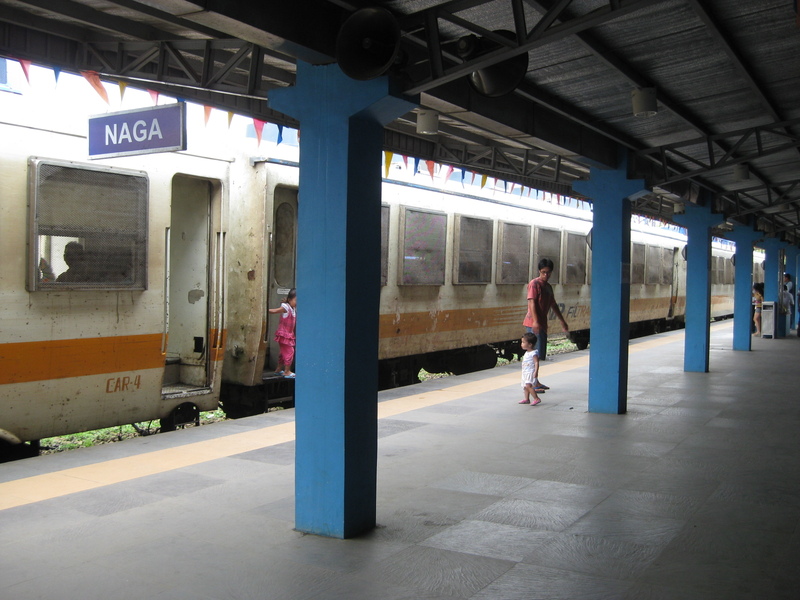 Following are a few photos around the Naga Station of the PNR. 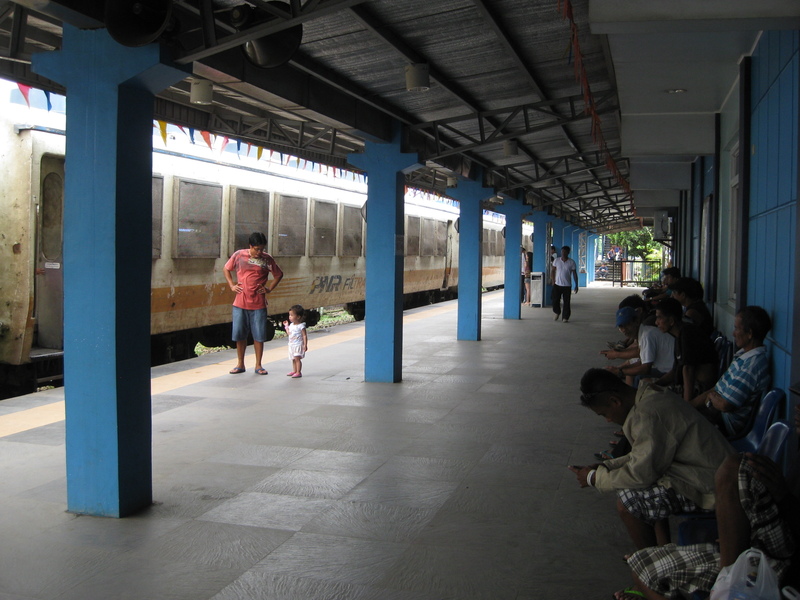 Simplicity – don’t expect turnstiles yet and it’s still somewhat a crude entrance to the platform but these should improve soon as passenger demand steadily increases. 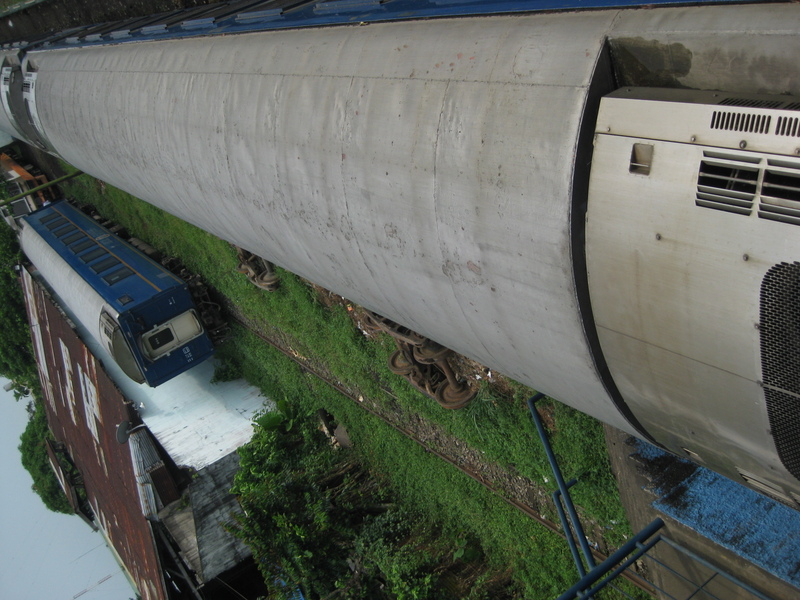 Looking forward – the train at the platform was bound for Legazpi City, Albay and I like to think the photo The photo actually shows the back end of the train as the front end is pulled by the locomotive shown in a previous photo. View from the top – there are pedestrian overpasses crossing the tracks for access to platforms and other parts of the station. 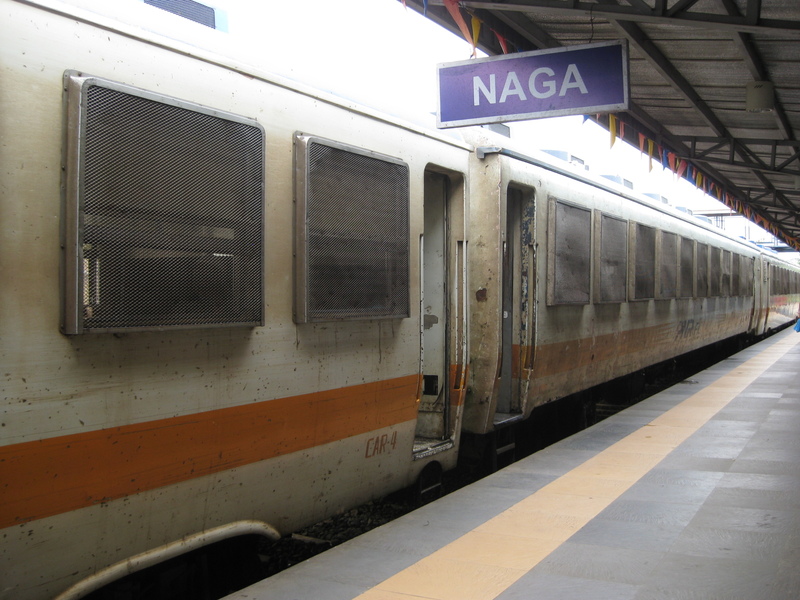 Visible in the photo are discarded bogeys and the blue car that is an executive class coach with reclining seats. Regular and Special – the train on the left and parked alongside the platform has regular coaches with fixed seats much like the Tokaido Line long distance commuter trains. 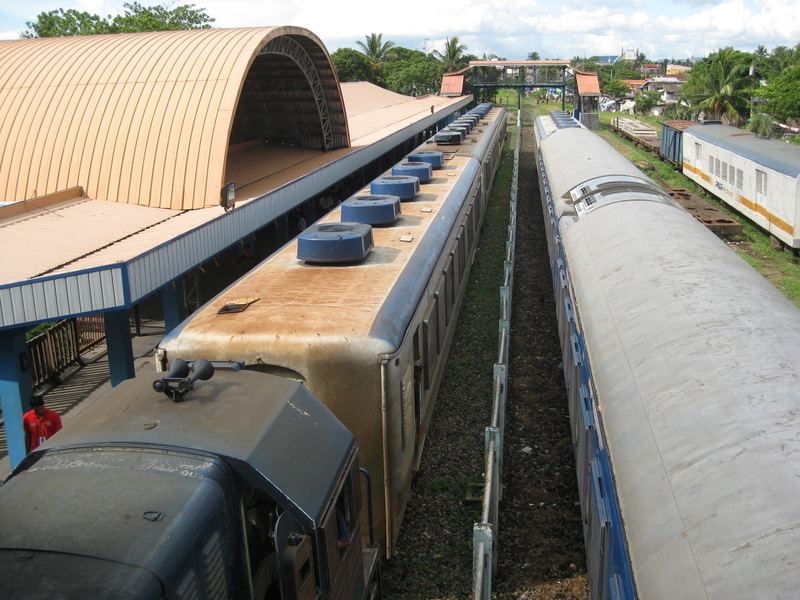 The train on the right has executive class coaches with reclining seats and more space for passengers that translate to a more comfortable ride. Unfortunately, there were no sleeper cars with either trains at the time. 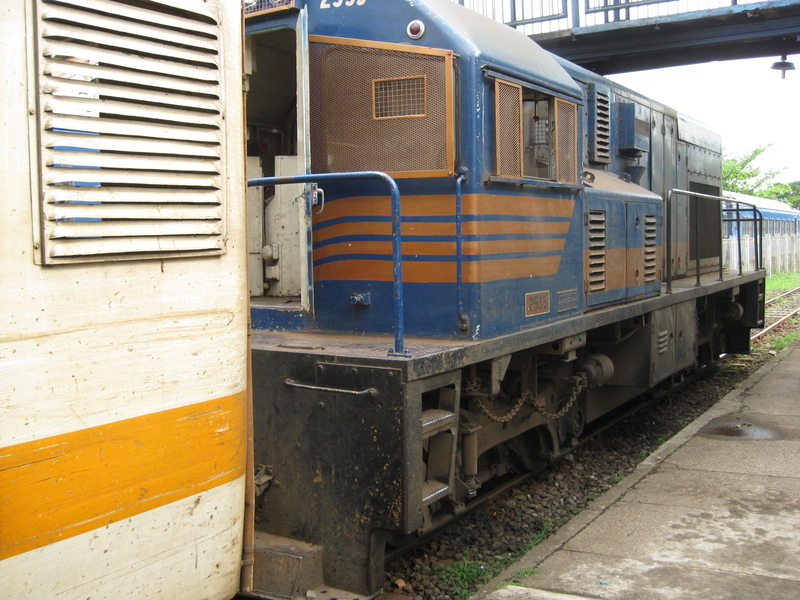 By d0ctrine in Railways on June 4, 2012 .